4025 Uppergate Lane #3, Charlotte, NC.| MLS# 3472586 | Plachecki Home Sales @ Keller Williams Ballantyne | 336-264-8933 | Homes for Sale in South Charlotte including Fort Mill & Rock Hill SC. HIDDEN GEM! Great find for investors or starter home. 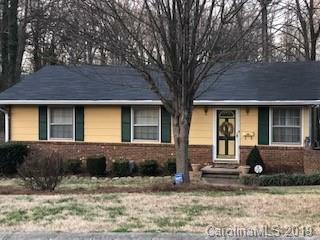 This ranch style home offers hardwood flooring throughout, 3 beds and 2 full baths. Spacious master with private bath. Sits on a fenced lot with 2 separate carports! Close to NODA and MINS from uptown!